Sagging or Loose facial skin give you more aged look than your real age. Beauty conscious women often spend a lot of money on commercial products but usually don't get the desired results. Loss of skin elasticity is one of the main cause behind saggy facial skin. As we age, the outer layer of skin (epidermis) start thinning and also loses the layer of fat that keeps our skin looking tight, youthful and plump. With less fat in our skin, it begins to sag and drops down. Our sebaceous glands produce less oil as we age, making our skin drier and more prone to wrinkles and sagging. In addition to age, sun damage and smoking can also contribute to the breakdown of the collagen needed to maintain skin elasticity. You can prepare homemade facial mask by blending a number of drops of honey, 1 egg white, and few drops of lemon juice. Apply this mixture on your face and neck. After 15 minutes rinse off with warm water and then splash your face with cold water. Olive oil helps a lot to prevent sagging and maintain the firmness of your facial skin. Lemon juice lightens and brightens your skin. Mix 1 teaspoon of olive oil with half teaspoon of lemon juice and apply to your face and neck. Leave this for 15 to 30 minutes and rinse with lukewarm water and finally splash with cold water. You can also make a paste of turmeric powder and sugarcane juice and apply it on your face then rinse off after 15 minutes. Papaya is rich in antioxidant properties that not only enhance skin tone but also remove dead cells from the skin. Vitamin C present in papaya rejuvenate skin and prevent from further sagging. The detoxification agents, present in papayas minimize skin pores, prevent attack of free radicals, and make this an excellent anti aging ingredient in many anti aging commercial masks and creams. To make anti aging and anti sagging skin mask, take 1 tablespoon ripe papaya pulp and mix with half tablespoon of rice flour and half tablespoon of honey and spread on the face and neck. Let it stay for 15-20 minutes and then rinse off with fresh water. Take 3 Capsules of Vitamin E then empty them into a small bowl. Add 2 teaspoonful of plain yoghurt,1/2 teaspoonful of lemon juice, and 1/2 teaspoonful of honey. 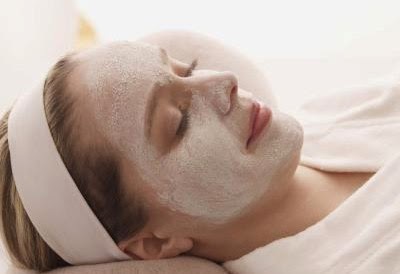 Apply the mixture on your face with the help of a cotton ball. After 15 minutes rinse it off.This is one of the best home remedy for treatment of sagging skin. Mix two tablespoons of fresh cucumber juice with one egg white and half teaspoon of Vitamin E oil. Apply the mixture on your face and neck, wait 15 minutes and wash off with cool water. This mask will not only tighten facial skin, but also refresh and rejuvenate it. Take some pulp of an avocado into a bowel and add two tablespoons of extra virgin olive oil into it. Refrigerate the mixture for half an hour then apply this on your face and neck. After 20 minutes rinse off with cold water. Make a paste of sandalwood powder with pure rose water. Apply this paste of your face then rinse off after 15 minutes with cold water. Take two tablespoons of milk and add a few drops of vitamin E oil and honey. Apply this mixture on your face and neck. Then wash off after 10 minutes. Mash a ripe banana and apply this on your face and neck. Leave it on for 15 minutes then wash off with cold water. Mashed banana is considered best to tighten facial skin at home. Make a paste by mixing 2 tablespoon of thick yogurt with the juice of a freshly squeezed lime. Apply this paste on your face and neck.After 15 minutes rinse off with cold water.Regular application will show you best result within few days. Due to anti aging substances present in Aloe Vera, the plants extracts have always been in use in most anti aging and wrinkle free beauty products. Massaging your face with fresh aloe vera juice also helps a lot to tighten the skin and provide moisturization. Take 1 Egg white, 1 tablespoon of Fuller’s earth, and half tablespoon of honey. If you have dry skin you can also add half tablespoon of Glycerin. Mix them well in a bowl and apply on your face and neck. Leave for 15-20 minutes and then wash off with lukewarm water. Cabbage leaves are best known to fight against wrinkles and loose skin. Take 2-3 cabbage leaves, grind and make a paste of cabbage leaves. Mix it well with 2 tablespoons of rice flour. If you have dry skin then add half teaspoon of olive oil. Mix all the ingredients and apply this mixture on your face and neck and let it dry. Rinse it well with lukewarm water. You can also use baking soda for tightening sagging skin facial skin. Baking soda is an alkaline substance that can slough off dead skin cells from the face, soften your complexion and help tighten the pores. Mix a small amount of baking soda with water and massage into your facial skin for 1-2 minutes and leave for 5 minutes. Finally wash your face with fresh water. ( If you have sensitive skin, first make a patch test on small area of your skin. If it create any allergic reaction immediately wash with fresh water and avoid this remedy). Tomatoes make an effective astringent toning up sagging skin on the face and neck. Application of tomato juice on your face and neck two times a day and will give you amazing results within few days. Castor oil massage is also considered very effective to tight your sagging facial skin. For best results massage your skin with castor oil at least thrice a week. You can also apply coconut oil on sagged skin because this is also considered very effective to tight sagging facial skin. Try to drink at least 10-12 glasses of water daily because water not only keep your skin hydrated but also play an important role to tighten your skin. Protect your skin from harmful effects of UV Sun rays because they can cause premature skin wrinkles and also result in sagging skin.So before going out don't forget to apply a good sunscreen on your face and neck.